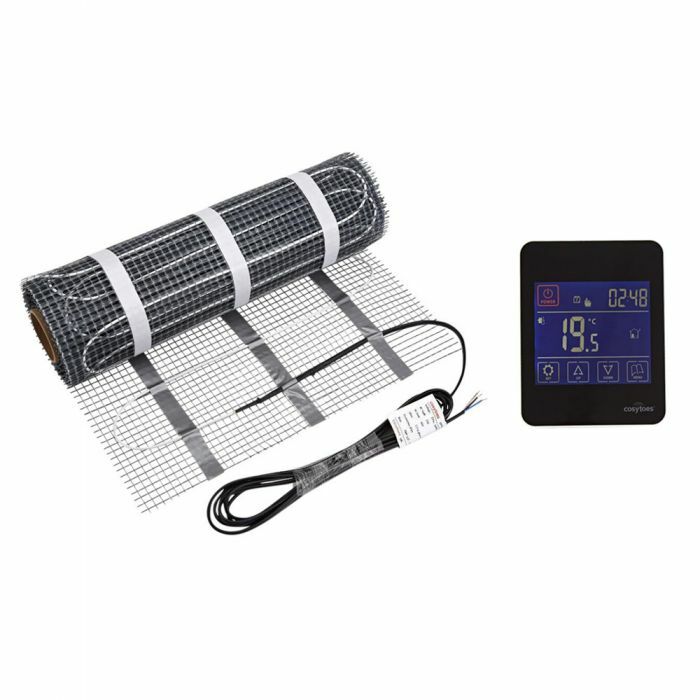 The Cosytoes electric underfloor heating mat is perfect for adding warmth to kitchen and bathroom floors. 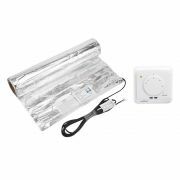 Quick and easy to install, the mat features a fixed cable space, which provides an even spread of warmth over the surface of the floor. The heating has a 'Tack n Stick' adhesive backing that allows for accurate positioning (and re-positioning) before cutting. It also has tape strips, that when removed, exposes three strips of adhesive tape. The tape holds the mat in the installed position ready for tiling. The Cosytoes underfloor heating mat is available in a range of sizes to suit your requirements. Featuring a gloss black finish, the touchscreen thermostat allows you to easily control when your heating comes on and goes off, as well as the desired temperature. 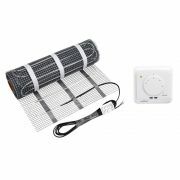 The supplied floor probe needs to be fitted in the adhesive layer of the mat, and midway between two heating cables.